Posted December 16th, 2008 at 8:02 pm | Log in to reply. Im making this right now. Its a cold winter night in the pacific northwest…snow is expected. Posted October 1st, 2008 at 7:42 am | Log in to reply. It looks ok for me,but I don’t see green onion in the soup. 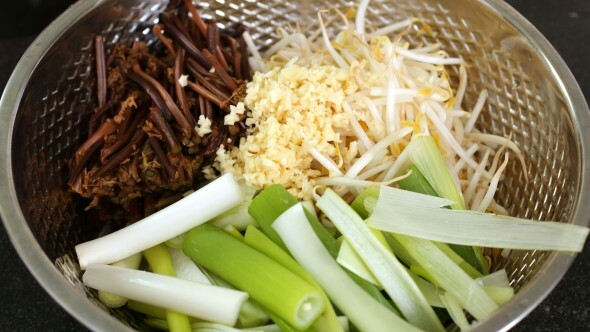 I use lots of green onions in Yukgaejang. Posted October 1st, 2008 at 12:20 am | Log in to reply. I made this tonight but I think I overcooked the vegetables. Posted September 1st, 2008 at 5:45 pm | Log in to reply. Check out my recipe for spinach side dish,kimchi stew and bean sprout side dish video, and sea plant soup and sald side dish. Posted September 1st, 2008 at 5:36 pm | Log in to reply. 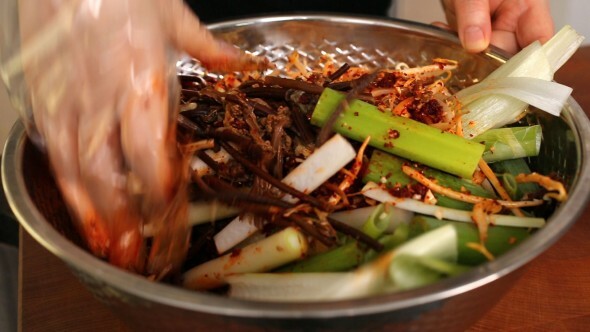 i want to make yuk gae jang for a school cultural project i have coming up. 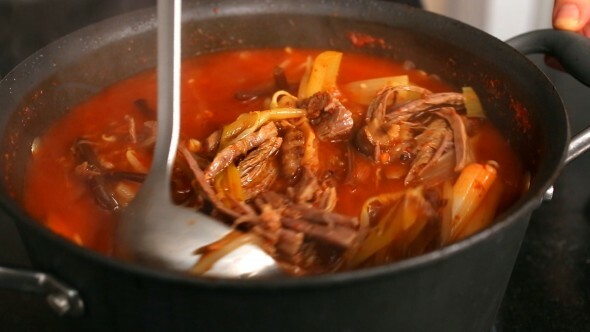 we are supposed to make a whole meal, so i was wondering, what other korean dishes would go good with yuk gae jang besides pony-tail kimchi? Posted August 21st, 2008 at 10:34 pm | Log in to reply. Don’t worry much about soy sauce. Just skip it and use salt then. Thank you! Posted August 21st, 2008 at 9:29 pm | Log in to reply. 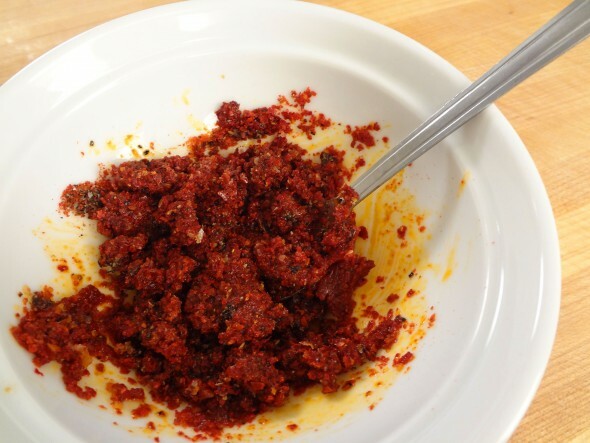 I’ve just recently discovered your site and have been making great korean dishes since!!! I’m Korean but I’m kind of new at cooking Korean Food, and you’ve been so inspirational!!! I love watching your videos and you are too cute!!! One quick question. 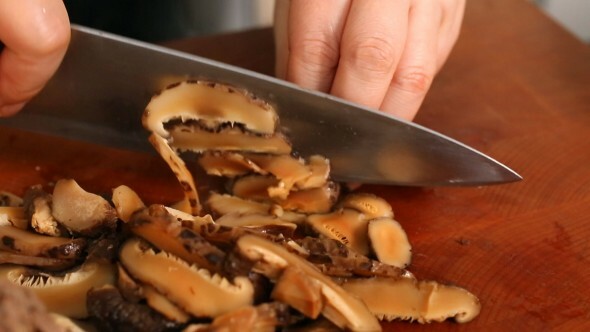 I LOVE yuk gae jang but I want to make one on my own (I live pretty far away from a decent Korean restaurant). I want to share this with my friend, but unfortunately, he is allergic to soy sauce. Seeing as how this dish only uses 1 TB of soy sauce, do you think the end result would be greatly affected if I were to omit soy sauce from the recipe? Maybe I should add some fish sauce instead? What do you think? Thanks and I look forward to more of your videos!!! Posted July 10th, 2008 at 12:27 pm | Log in to reply. Hi, Maangchi! I recently ordered Yuk gae jang and enjoyed it. I will try cooking it one of these days using the recipe you provided. I think I will be able to find kosari here in the Philippines. Posted June 28th, 2008 at 12:52 am | Log in to reply. 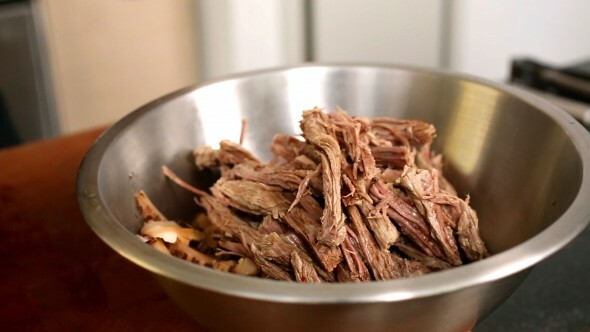 beef can replace with pork and skip radish if you can’t find it. I would not use celery. Posted June 27th, 2008 at 6:33 pm | Log in to reply. 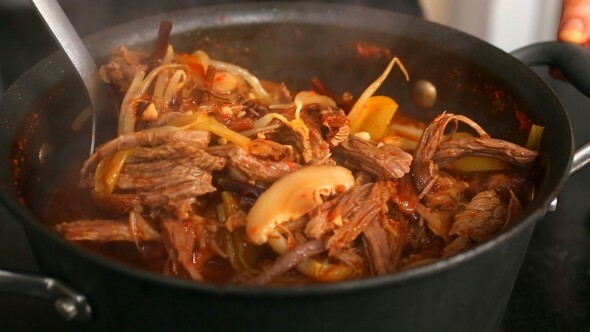 I made Yuk Gae Jang today, and it turned out great! I invited my parents for lunch, and they really enjoyed it. My dad even asked me to make more. :) I’m so happy that I was able to make such a delicious dish. Thank you for the recipe. 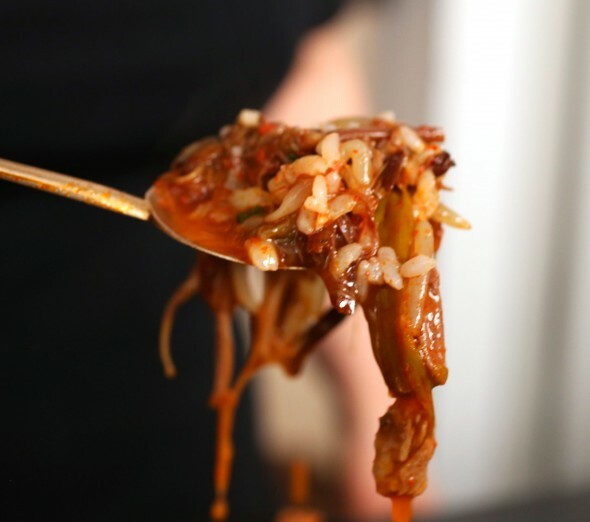 My daughter asked me to make your jja jang myun. I hope I succeed. If I don’t find radish, is it OK to substitute with celery? And beef instead of pork? Thank you!! Posted June 14th, 2008 at 7:23 pm | Log in to reply. Yes, dak do ri tang and dak kal bi are already in the list of my upcoming cooking videos. Thanks! Posted June 11th, 2008 at 11:07 pm | Log in to reply. Do you have any chicken stew recipes? I remember a dak dori tang (?) that had potatoes and spicy braised chicken, or dak galbi, spicy stir-fried chicken, as a child. Posted June 9th, 2008 at 12:18 am | Log in to reply. But seriously, your site and videos are great. 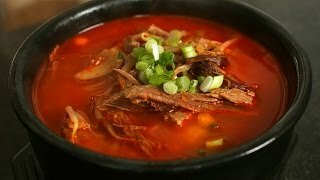 I am glad more people are becoming aware of Korean food. 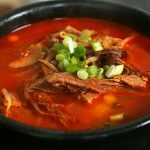 We need to be able to buy Korean food or go to Korean restaurants just as easily as we can find Chinese restaurants in the US. Posted May 26th, 2008 at 12:11 am | Log in to reply. yes, toran is taro and its taste is like potatoes. I found toran in chinese market in Toronto. Posted May 25th, 2008 at 5:16 pm | Log in to reply. i’ve been enjoying your cooking videos. 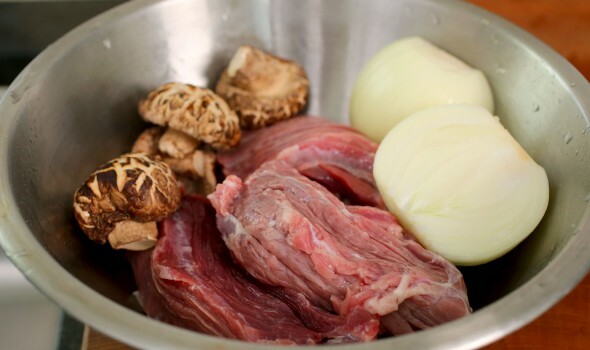 they’re better than most cookbooks because we can see how to cut and prepare the ingredients. thank you! i once had toran-guk in korea and the toran tasted like taro. i found out that’s what it is. i think you might be able to find taro in chinese or vietnamese markets. i’m very impressed by your knife skills. you chop like a pro! The video was watched 997,388 times on YouTube & has 17,859 likes! This video is a remade version of an earlier recipe. The original video was posted on and has 0 views.